Dr. Sarah Anderson is a special kind of dentist. She takes a gentle approach, easing any concerns you might have by providing valuable patient education. She listens so she can best understand your particular needs. She strives to provide the highest standard of personalized dental care using her skilled training in the latest advances in dentistry. As a graduate of the University of Kentucky with a BS in Biology, she went on to extend her education and received her doctorate from the University of Kentucky College of Dentistry where she graduated with distinction after ranking in the top of her class. She then moved to Charleston, SC to complete a residency program at the Medical University of South Carolina for Advanced Education in General Dentistry. Dr. Anderson is married to Louisville native Michael Anderson. They live in Saint Matthews with their two little boys, Chapman and Conrad Anderson. Dr. Anderson enjoys spending time with her family and friends, reading, watching college basketball and trying new restaurants. She looks forward to bringing out the beauty of your smile. 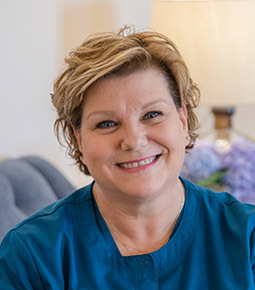 Janice is a Louisville native and has been an office assistant at East Louisville Dental Group since 2001. She and her husband, Jim, were married in 1973 and have four children and nine grandchildren, all living around the Louisville area. She and Jim love traveling and spending time with their family. Lisa, originally from Beaver Dam, KY, moved to Louisville in 1981. 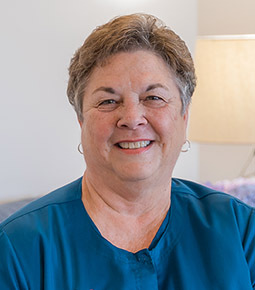 She has been an office assistant with East Louisville Dental Group since 1989. Lisa and her husband, Bob have two daughters and three grandchildren. Lisa enjoys spending time with her family, reading and traveling. Originally from New Haven, KY, Tammy has lived in Louisville since 1990. Her family includes her husband of 30 years, Chris, two grown daughters and a much beloved labradoodle, Stella Blue. 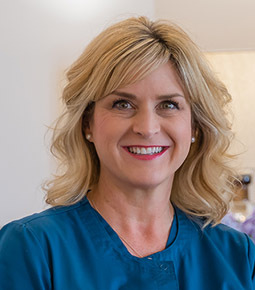 Tammy has been a dental assistant for 10 years and loves helping patients feel more at ease. Her hobbies include creative healthy cooking, designing derby hats, vacationing to the beach and spending quality time laughing with friends and family. 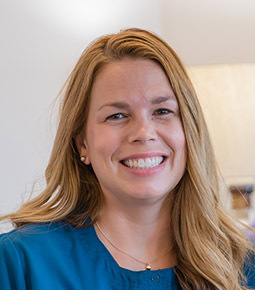 Amanda is a Louisville native and has been a dental hygienist at our practice since 2004. She and her husband Eric spend most of their free time keeping up with their four children. Amanda also likes to garden, bake, and run! 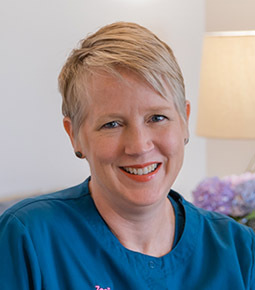 Lynn has been with East Louisville Dental Group since 1999. Lynn Enjoys spending time with her husband Harry, her two sons and the rest of her family. Outside of the office she enjoys photography, yoga, travel and gardening. Sarah lives in the Highlands neighborhood with her husband Todd, teenage children Camille and Campbell, and puppy Luna. She is a graduate of The University of Louisville and has practiced dental hygiene for 31 years. Her favorite part of her job is educating patients on how to achieve their best dental health possible. In her spare time she enjoys movies, concerts and scrapbooking. What is the most important thing about our jobs? Our patients! At our office, you will never be just a number. We enjoy talking to you and getting to know you on a personal level. When you come to East Louisville Dental Group, you’ll feel like you’re among close friends. One of the best things about our practice is our excellent staff! Our team members are all incredibly sweet and kind. We love our patients, and we truly make your needs our priority. We care about you personally, and it shows. Our dental excellence goes above just delivering high-quality treatments and lasting results. 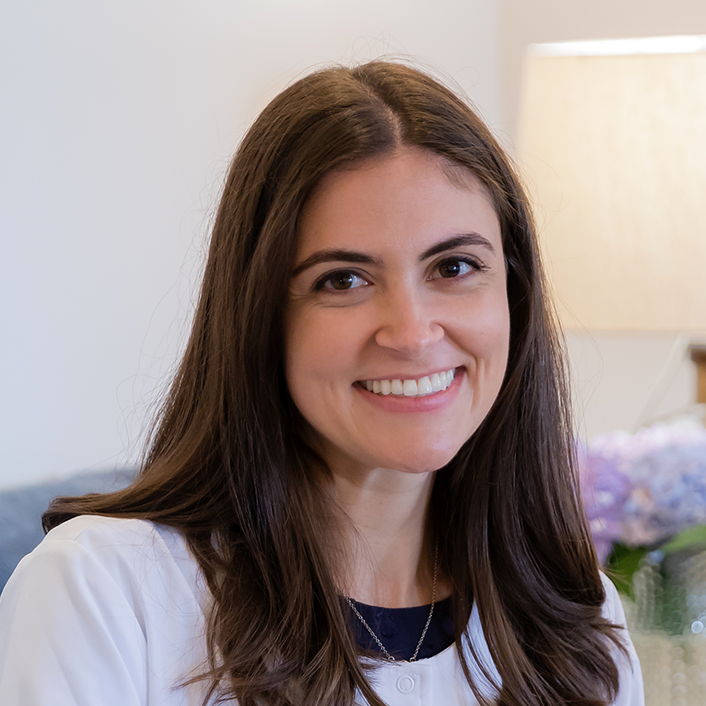 Dr. Anderson personally takes her time with each patient — whether it’s for a cleaning, filling or crown — to ensure every detail is precise, complete and clinically correct. Providing excellence in every service is our ultimate goal. 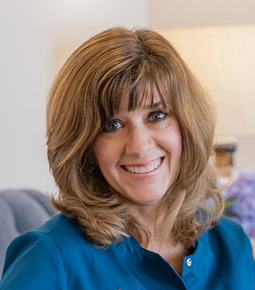 Dr. Anderson grew up in Lexington a town with a Southern feel, and that’s the type of hospitality she brings to her practice. You’ll find the environment here relaxing and laid back. Our team members like to talk to patients, crack jokes, and listen to music. We make post-treatment calls to make sure your care is as easy and enjoyable as possible. We love our jobs, and we love the fact that we are a great place where families can come to enjoy quality dental care while building lasting relationships over the years. We offer a wide range of services, from routine cleanings and exams to more complex restorations, so your family’s needs can be conveniently met at one trusted location. How else is it easy to see how much we truly care? By how thorough we are! We take our time when evaluating your oral health and planning out treatments. We will explain all the details of your care in an easy-to-understand manner and provide our honest recommendations. We promise to always keep your best interests in mind.